New Sony NEX-7 - What Do You Think? Thread: New Sony NEX-7 - What Do You Think? The new Sony cameras sucked up a good chunk of my last week. There was so much packed into them that writing intro articles took up a lot more time than usual. They really are impressive though - they deserve the extra attention. The NEX-7, in particular, I think is a groundbreaking camera. It's the first Sony NEX camera to really give me some camer lust. I'm skeptical but curious about the 24-megapixel APS-C sensor and and I'm psyched about the built-in OLED EVF and the trasparent mirror lens adaptor. This is the first camera I think that truly offers the best of both worlds - DSLR and EVIL. It could be the ultimate travel / outdoor camera. So what do you think? I'm thinking the NEX-7 is a serious contender for my 2011 Camera Of The Year. Do you agree? Disagree? Why? 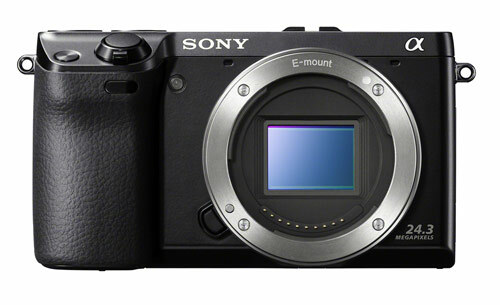 Re: New Sony NEX-7 - What Do You Think? I think I'm going to get one in a few weeks, that's what I think. He said without blinking and with complete commitment. I salute you and your decision, sir! Going from the Nex 3 to the 7 should be a huge upgrade. Plus I can use my M mount lenses with focus peaking. I have been meaning to make a short video showing how well the focus peaking works. When work slows down I will.. I consider it a trully remarkable achievement and I hope it is what pushes Nikon to release something similar soon. More importantly; I hope the NEX-7 can deliver D90 performance to put all those skeptics to rest.